Put simply, more cows have meant more nutrient and pathogen pollution of waterways. Across the whole country, the number of dairy cows increased by over two million between 1992 and 2011 – an 86 percent expansion. During the same period, average dairy herd size in New Zealand more than doubled from 169 to 386. Now it occurs to me that Mycoplasma Bovis appears to be a blessing for the greenies or is it simply just a convenient way to reduce cattle numbers ? I have first hand evidence of how MPI can be manipulated and how facts are irrelevant to them. 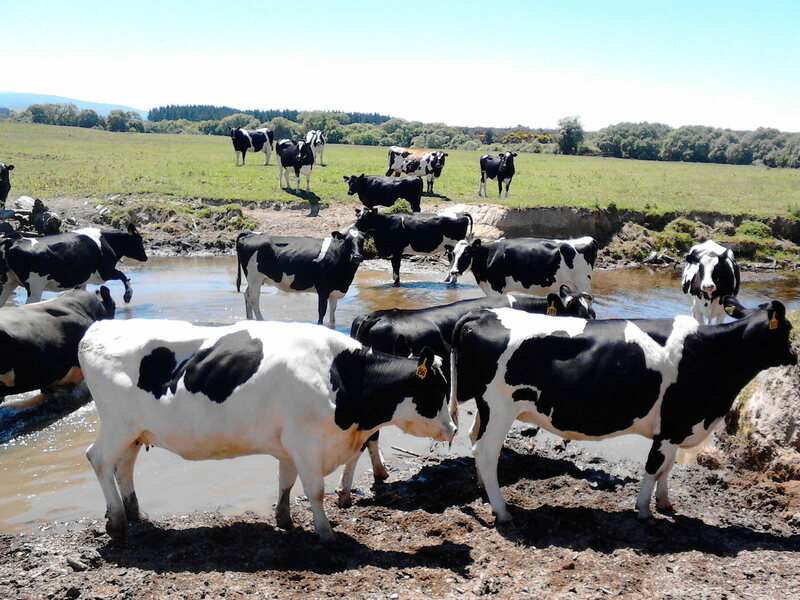 What has emerged from the debate over the Mycoplasma Bovis saga is that New Zealand appears to have been let down by authorities – especially politicians and senior government bureaucrats who have mismanaged the country’s biosecurity, leaving farming in turmoil, and the taxpayer picking up most of the tab for their negligence. I had cause to speak to a bovine vet the other day and he confirmed that the tests of mycoplasma bovis are not particularly reliable,so a whole herd is put down because one cow tested positive, this could have been a false positive but who cares lets put the whole herd down at a time when Gypsy day is seeing other herds migrate freely from one area to another . Guess that fits with the agenda of culling as many cattle as possible . It has made me realise that the characters in the old TV series gliding on are still alive and well and working at MPI , they may of course have taken the precaution to drink their tea and coffee black . My own experience with the incompetence of MPI ( then MAF)goes back 12 years . I questioned serious corruption which had allowed a person closely associated with key players in MPI to write legislation for their own business plan , advise on it as ” independent advisor” to the select committee and while MPI knew this person was severely conflicted they stood by and allowed him to provide comment on caucus papers which saw the government approve an application for coercive law enforcement powers to a non existent organisation based on a fraudulent application. MAF/ MPI are fully aware of it and have refused to undertake an investigation, my own opinion for this is that the lawyer who provided a crown law opinion was Peter McCarthy who gave a detailed legal opinion but didn’t even think about checking if the application he was commenting on was legitimately made and that AWINZ existed . This has been total bullying an white washing of a criminal act . Wells was able to negotiate with MPI to withhold information from me so that the complaints to the law society etc could be dealt with without the inconvenience of facts getting in the way also see here and here .This crucial document was the audit report which totally expose AWINZ as a sham but even despite their own findings nothing was done but AWINZ conveniently stopped being an approved organisation when the super city was formed.